Our congratulations to you, Mr. Ping, our thanks to Mr. Julian Hunte and to the Secretary General for their efforts during this difficult year. Last year, we marked our concern for the restoration of sovereignty in Iraq, and the reinvigoration of the Middle East peace process. This year we wish to especially note the critical need to end the tragedy in Darfur. Armenians, victims of the 20th century’s first genocide, know well the long-lasting effects of victimization and homelessness. This is no way to begin a new millennium. The benefits of globalization should be utilized to defeat this newest global crisis. We comprehend all too well that peace and security abroad and at home are clearly correlated with social and economic dignity today, or, faith in their possibility tomorrow. Neither self-satisfied smugness on the one hand, nor self-righteous violence on the other, are solutions to the great inequalities around the world, and within each of our countries, even those most developed. Terrorism, in all its manifestations, affects security, political and economic stability in our neighborhoods and on our planet. Terrorism from Madrid to Beslan, in all its manifestations, is inexcusable and unacceptable. Cognizant that the success of counter-terrorism efforts is conditional on collective measures, Armenia has readily joined the global fight against international terrorism. This fight must go beyond effective regional and international cooperation. It must include the very goals of the Millennium Declaration – replacing deprivation, poverty and injustice by a universal respect for human rights and democracy, economic development, equality and social justice. In Armenia, we have had a year in which economic growth went hand-in-hand with increased participation in international organizations, particularly the UN. Our position in the Human Development Index gives us the confidence to continue on this path of economic development. We will also work hard to bolster public-private partnership. We are proud that Armenia’s major enterprises are each finding ways to contribute to art and culture, to invest in public life, and become partners in our society’s pursuit of happiness and quality of life. In 2005, the international community will review the progress that’s been made in the implementation of the global development agenda. It would be most useful if we could focus our resources on implementation of that agenda rather than on restating our collective good intentions. In other words, we must find the political will to make the political and financial commitments necessary to overcome the outstanding obstacles. The Millennium Development Goals are guidelines for Armenia. To this end empowerment of women, child protection, fight against poverty are not just goals for us, but they are indeed building blocks for a prosperous, healthy, stable society. The Government of Armenia has approved national action plans for the Protection of the Rights of the Child, on Improving the Status of Women and Enhancing Their Role in Society, and for Prevention of Trafficking in Persons. In addition, a broad anti-corruption strategy, developed with the participation and counsel of the international community, will complement the Poverty Reduction Strategy Program that is already beginning to yield results. We continue our effective collaboration with UN bodies on a number of important issues including use of information and communication technologies to improve governance and institutionalize public-private interactions. With donor community support, focused institution building and good governance, we expect that the human rights and democratic reforms of the last decade will go beyond the solid legislative framework that’s been developed, and take root, psychologically and socially, in our society. Armenia, as an active member of ECOSOC and the Commission on Human Rights, will remain involved in international development cooperation. At the same time, we will participate in the effort to improve the consultation and coordination mechanisms that are essential for the effectiveness of the collective security system and we look forward to the assessment of the High-level Panel on Threats, Challenges and Change. We stand for broader cooperation between the UN and regional organizations as a measure for ensuring broader involvement and commitment by countries in decision-making and implementation processes. Reform is necessary within these valued organizations, if we are to effectively address today’s realities and challenges, and resolve tomorrow’s problems. For this, we cannot work with yesterday’s mechanisms. In the UN, a revitalized General Assembly is indispensable for effective action. We would also support India, Germany and Japan joining countries from Africa, and Latin America as permanent members of an enlarged and more representative Security Council. In these short years, we have done away with the false proposition that we must choose between East and West, between the old world and the new. We have done away with the myth that our neighbors can control the pace of our economic growth and shape its direction. Now, we want to do away with the dangerous suggestion that yesterday’s adversary is an enemy forever. Armenia is ready to compromise and collaborate with neighbors who are ready to join us in making history, not rewriting it. We want to work with an Azerbaijan that understands its place in a rule-based international order, not one whose policies, practices and statements threaten the fragile peace and stability of our region. Azerbaijan was first in introducing ethnic cleansing to the Soviet space, first in engaging mercenaries and international terrorists in its own defense, first in discarding the rules of engagement in international organizations. Let me explain. The Armenian presence in this region has been long and extensive. Denying or revising this history requires systematic planning, energy and resources. Unfortunately, the government of Azerbaijan has not spared such resources. Azerbaijan succeeded in eliminating the Armenians of Nakhichevan who comprised more than half the population. There are none there today. In Baku and Sumgait, and throughout Azerbaijan, there were over 400,000 Armenians in the Soviet years. There are none there today. 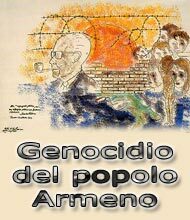 The Azerbaijani experiment in ethnic cleansing worked. A decade ago, Azerbaijan retained the services of some of our region’s most notorious mercenaries and international terrorists -- the same names which you hear again and again -- to fight against the Armenian men and women who were defending their lands and their lives against aerial bombings and proximate shelling. The terrorists lost, Armenians won. its own refusal to consider proposals that have grown from the discussions and negotiations in which its own leadership has participated. For more than half a decade, it has rejected every proposal placed before it from the Common State Proposal in 1998 to the Key West document of 2001. Armenians prevailed in the military confrontation unleashed by Azerbaijan as a response to the peaceful demands of the Armenians of Nagorno Karabakh for self-determination. Contrary to the assertion of Azerbaijan’s president, Armenians have occupied those lands for over 2000 years, and not just in the last 10. Today, Nagorno Karabakh has reversed the injustice of the Stalin years and is free and democratic, tolerant of minorities. Nagorno Karabakh holds regular elections, has state and security structures, complete control over its territory, and a growing economy. If in the last century, Armenians and Azeris were forcibly linked together, in this next century, where we have earned the right to our own destinies, we can determine to live together peaceably. If we are serious about becoming full, deserving residents of the European neighborhood, where borders don’t matter, but intentions and tolerance do, we will have to come to terms with our past, with our history, with the realities that have gripped our region.